Katarina Sitzer - Flutediva - Hard work beats talent when talent doesn't work hard. Katarina Sitzer is a freshman at Point Loma Nazarene. 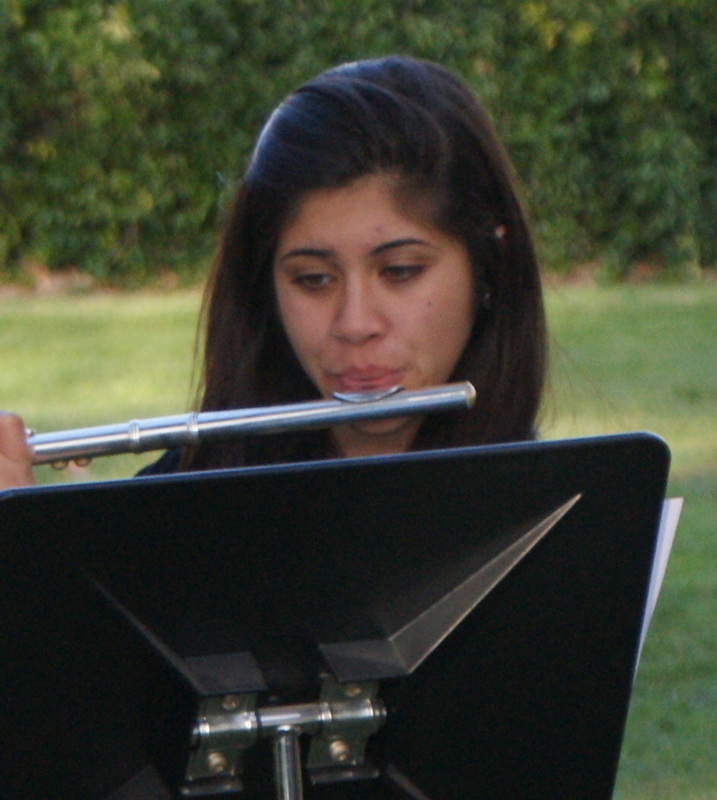 She is majoring in Nursing and minoring in flute performance. Last year as a senior at Mira Mesa High School she was 1st chair in the Wind Ensemble (she has been 1st chair for 3 years) and is section leader in the band as well as being the band president. Not only is Katarina a stand-out player but she is a stand-out scholar. Katarina has been my student since she was in 6th grade and I have watched her grow up. I am so proud of all of her accomplishments and I know that she will be very successful at all that she does. She has placed in every competition she has entered since the 7th grade. She has also been selected to perform int he All-State Honor Band and CMEA County Honor Band. She is an example to all my other students of what a good student should be like. She is humble, she is diligent, she is kind, generous and she is focused on the right things. She's focused on her own improvement and not anyone else. She is hoping to go to Point Loma Nazarene next year and study to be a nurse.